The New England Patriots have won the Super Bowl. In a related story, pigs are now soaring above Foxboro Stadium, and a brand-new ice arena is opening in Hades. The Patriots capped the most wonderful, improbable season in their 42-year history last night, beating the heavily favored St. Louis Rams, 20-17, on Adam Vinatieri's game-winning 48-yard field goal as time expired. Just when we didn't think it could get any better, it did. After storybook victories over the Oakland Raiders and Pittsburgh Steelers to get to the Super Bowl, they topped 'em in the biggest game of all. It wasn't supposed to happen. The fairy tale wasn't supposed to come true. People who wager on such things didn't like the Patriots' odds. As Troy Brown, the great Troy Brown, said over and over again after the game: "Nobody gave us a chance in hell. Nobody gave us a chance in hell." Our guy Troy had a point, which is why history will remember this as the greatest Super Bowl upset since Joe Namath made his famous guarantee 33 seasons ago - even if it is not. Sure, there was lots of talk about destiny and fate. We might have been onto something. But there was also more to the story than upsets and underdogs. Turns out the Patriots were not only were lucky and blessed. They were legitimately the best. The Patriots won their final nine games of this season. And virtually every last one of the 45 players on their roster had something to do with it. Such as Adam Vinatieri. Can we now make it official? Can we call him the greatest clutch kicker in NFL history? First, the 45-yarder in the snow against Oakland, then the 23-yarder to win it. And now this: a 48-yarder with just seven ticks left on the clock. To win the Super Bowl. And Tom Brady. Anyone who doesn't see a little Joe Montana in this cool kid QB has not been watching through clear eyes. Drafted in the sixth-round a year ago, behind such legendary passers as Spergon Wynn and Giovanni Carmazzi, he will wake up this morning (in the unlikely event that he slept at all) as the Most Valuable Player of the Super Bowl. Or Otis Smith. He was among the goats in the Patriots' last Super Bowl appearance, five long years ago. He was 31 then. The Patriots released him after that season, thinking the long touchdown he allowed to the Packers' Andre Rison was one more sign he was washed up. He's now on his second tour of duty with the Patriots. His interception in the third quarter last night led to a crucial Vinatieri field goal and a 17-3 lead. Otis Smith is 36. He is not washed up. What he is is someone typical of this incredible team. They were introduced not as individuals, but as a team. It could not have been a more appropriate metaphor. They were a tribute to teamwork and selflessness all season long. They were a picture of unity, one long-gone wide receiver being the exception. They deserve this. And Bill Belichick deserves this. He left the Jets so he wouldn't have to live in Bill Parcells's shadow. Now it is Belichick who is casting all shadows. I am certain he will someday join his mentor in the Hall of Fame. The scheming devil did it again last night, coming up with a defense that caused the electric Rams' offense to blow a fuse. He outwitted his fellow member of Football Mensa, smug Rams Coach Mike Martz. The Patriots held the Rams without a touchdown for the first three quarters, the first time that happened to St. Louis since Week 5 against the Giants. The three points was their lowest first-half point total of the season. They didn't get inside the 20 until there were 11 minutes left in the game. The rest of the game plan? Well, it went according to plan. Antowain Smith (18 carries, 92 yards) ran the ball with his leg-churning determination. Patriots were tackling with malicious intent, particularly Tebucky Jones, who banged heads all night. We figured they'd need to score on defense. Consider it done, said Ty Law. At the 8:49 mark of the second period, Mike Vrabel drilled Rams' quarterback Kurt Warner on a blitz as he released the ball. Law picked it off and strutted in to give the Patriots a 7-3 lead. The Patriots, to the gasps of all their doubters, increased the lead to 14-3 when David Patten ran an absolutely beautiful route and caught an even prettier Brady throw with 31 seconds left in the first half. The Rams came to life in the fourth quarter. What, you thought they'd go quietly? Warner scored a rushing touchdown with 9:31 left, and Patriots' fans from New Orleans to the northernmost reaches of New England were gnawing their fingernails. We knew what was coming. We had seen it before, back in the Rams' 24-17 win in Foxboro on Nov. 18, when Warner drove the Rams 98 yards with less than two minutes left in the first half for a go-ahead touchdown. They can score in the blink of a defensive back's eye. Our fears were well-founded. The Rams got the ball back with 1:51 left at their own 45, and Warner went to work. He hit Az-Zahir Hakim for 18 yards. He hit Yo Murphy for another 11, to the Patriots' 27. Hit Ricky Proehl in the end zone with a minute left, floating a pass after the Patriots' defenders got criss-crossed in coverage. The game was tied at 17. Our hearts were in our stomachs. Little did we know that Brady was preparing to rip the heart out of the Rams. The Patriots got the ball back with 1:21 left at the 18-yard line. Fox announcers John Madden and Pat Summerall were calling for the Patriots to take a knee and take their chances in overtime. We begged them not to - that would have been a Pete Carroll thing to do. Thank heavens Bill Belichick is not Pete Carroll. And so Brady began building the foundation of a legend, hitting J.R. Redmond on three consecutive passes to move the ball to the Rams' 40. A 20-yarder to Troy Brown and an 8-yarder to Jermaine Wiggins followed. Vinatieri - ol' Never-Nervous Vinny - did his clutch thing, drilling his kick down the middle and securing his own place in NFL lore. When the kick cleared the crossbar, a 42-year burden was lifted. The Patriots avenged so many past defeats last night, so much of their checkered, ill-fated history. The first-round playoff victory over the Raiders was comeuppance for the Ben Dreith Blunder from 1976. 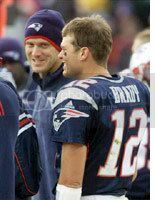 The AFC title game victory over the Steelers will be remembered as Drew Bledsoe's redemption, and in all likelihood, his farewell to New England. This team redeemed its forefathers who were beaten down in the franchise's two previous Super Bowl appearances. This one was for Grogan and Nellie and Hog Hannah, the embarrassed warriors of the '86 team. This was for Lawyer and Ty and Drew, the remaining warriors from the '97 team. This one was for us, too. Finally, a team we fell in love with didn't break our hearts in the end. So please, enjoy this, savor it - yeah, as if you need to be told, right? - because we will never see a team quite like this again. The 2001-02 Patriots are the Impossible Dream '67 Red Sox, with one catch - in the end , they won. The World Champion New England Patriots. Has a sweet sound to it, no? A new player joins your favorite team, and soon you are intrigued by the possibilities. You watch his sweet swing of the bat, the swish of a jump shot, and you can't help but think: This is something special here. These revelations, they come in different packages. Many are wrapped as blue-chippers and golden gods, as can't-miss kids. We know their names and pedigrees and 40-meter-dash times by heart, but meeting them for the first time is still a joy. Think Nomar Garciaparra in '97, or Paul Pierce a year later. More rewarding is when the package arrives from obscurity, when the player has slipped beneath the radar of the hype machine. That way, you can claim discovery long before he gets his very own Nike commercial, rap album and Sports Illustrated spread. Think Curtis Martin in '95, or Tom Brady in recent hours. I mention all this because the latter is happening again - several times a week on FoxSports New England, as a matter of fact. Have you seen Joe Johnson play basketball yet? Have you been introduced to the latest revelation? He's got game. Serious game. The stat sheet is the initial confirmation. Heading into last night's bout with the Toronto Raptors, Johnson was averaging a well-rounded 11.3 points, 4.6 rebounds and 3.2 assists per game, including his 22-8-6 line in a stirring victory over the Indiana Pacers last Wednesday. His assist-to-turnover ratio is an unheard-of 7-to-1, and he's sinking 51 percent of his shots. Yet there's so much more to the Joe Johnson package than just digits. He is not a bundle of abstract skills like Antoine Walker, or a smooth, sharp-shooting assassin like Pierce. He is something in between, an amalgam of the Celtics' two incumbent stars. He's as versatile as a Swiss Army knife. His jumper is feather-duster soft. He rebounds. Better yet, he boxes out. Gotta love those fundamentals. Already he is the deftest passer and ballhandler on the team. He pulled off a "Wow! "-worthy baseline touch pass against Indy, the likes of which haven't been seen in Boston since - blasphemy alert! - Larry Legend hobbled off to the golf course a decade ago. Defense? So far, he has guarded Michael Jordan, Gary Payton, Ray Allen and Vince Carter. He held his ground against each. Yes, he defends. Along with the skill-set comes something else, something less tangible but apparent nonetheless. Call it charisma, poise, presence, duende. Or maybe it's just self-confidence, the assuredness that comes from knowing he's exactly where he belongs. Johnson makes it easy for us to forget he's just 20 years old, a child - he was in Matt Bonner's SEC class, for Pistol Pete's sake. Naturally, there are going to be bumps along the way, rough nights when smart and savvy veterans teach him cold lessons in NBA 101, when the feathers turn to bricks and the pretty passes bounce off Vitaly Potapenko's hands only to become turnovers. 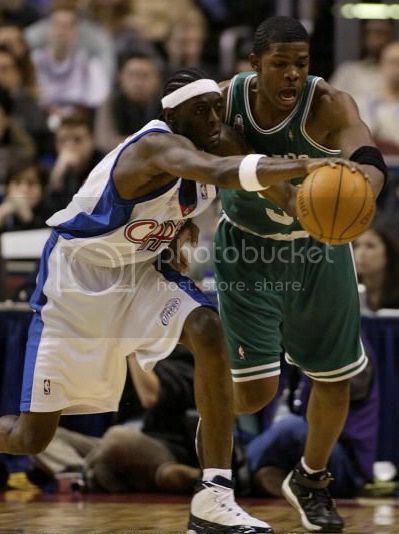 Pierce had those nights as an NBA freshman. Walker still has 'em. Johnson's had a few lately, including back-to-back two-point performances against the better-than-you-think Atlanta Hawks. There will be those nights. Just not many of them. Maybe you are raising a suspicious brow at all this praise of the rookie. Maybe you think I'm desperately groping for a glimmer of hope, a hint of promise in a Celtic other than Walker and Pierce. Maybe you recall that I unabashedly admired Ron Mercer once, only to discover his elegant game disguised his what's-in-it-for-Ron attitude. Maybe you suspect that this is Pitino-style hype job. Fair enough. All I can ask is that you listen to the people who really know talent, the insiders, the lifers and the ballers themselves. Listen as they come to praise Joe Johnson. Here's Walker, the co-captain, after the Indy game: "I'll say right now, he'll be the rookie of the year. Write it down. He is no fluke." And Pierce, the other co-captain: "I'm not surprised by what Joe is doing. I saw it coming." Says Jim O'Brien, the coach: "I can't believe how fast he's come along. He's exceeded all expectations, and our expectations were extremely high." Lastly, there's this from Tommy Heinsohn, the Celtics legend-slash-broadcaster, and one with an accomplished cynic's knack for spotting a young player's flaws: "He has John Havlicek's metabolism . . . Joe Johnson is becoming a star before our eyes." Whoa. When Tommy Heinsohn mentions a kid in the same breath as his revered former teammate and fellow Hall of Famer . . . well, praise doesn't get much headier. Clearly, no one in the know thinks Johnson is some ordinary Joe. Notice there are no qualifying "yeah, buts" "ifs" and "we'll sees" here. It hasn't been easy being a Celtics fan lately, not in the lonesome years since Larry, Kevin and Robert walked out the door. Heaven knows the franchise long ago exceeded its quota of turmoil and tragedy. Reggie Lewis passed away, god rest his soul. Eight years, and it still feels like yesterday. Dear old Boston Garden was replaced by the FleetCenter, a shoebox so antiseptic it may as well be sponsored by Lysol. The previous coach, that Napoleon in Armani, ran the franchise like Homer Simpson ran a power plant: disaster on top of disaster. D'oh, indeed. Who could blame you if you stopped believing, stopped watching, stopped caring? No one this side of Paul Gaston's accountant, that's who. But maybe - maybe - it's time to start again, because it's beginning to look like that long-lost leprechaun has finally made his way to the FleetCenter. The first hint that their miserable luck was changing came on draft night three years ago, when Pierce somehow remained on the board with the 10th pick. How this wonderful player and endearing person slid so far has never been explained with any reasonable logic. That Johnson also became a Celtic with a 10th selection can only be chalked up to serendipity. That, and the blind spots of NBA scouts. Sometimes, the Sam Bowies do go before the Michael Jordans, the Raef LaFrentzes before the Vince Carters, the Michael Olowokandis before the Paul Pierces. Sometimes, the DeSagana Diops go before the Joe Johnsons. It's called good fortune, Celtics fans. Don't question it. Enjoy it. And enjoy this team. With Johnson forming a budding Three Amigos with Pierce and Walker, the Celtics are worth watching again, even as they remain a work in progress. They're 5-5, and last night's collapse against the Raptors makes it three tough losses in a row. Let's try not to sweat the small struggles. These guys will get it right soon enough. They fight the good fight every night, they play hard, and they play as a team. If someone could make Kenny Anderson disappear, they might be playing as a playoff team. But this isn't about has-beens and overstayed welcomes. This is about what-could-bes and pleasant introductions. Joe Johnson has arrived in Boston. With him comes hope in 48 minute increments, the promise of sunny days ahead. That's the best part. The revelation is only the beginning of the fun. Upon hearing the recent news that the Red Sox hired stat guru Bill James as a full-time adviser, the usual suspects smirked and sneered and pecked out their tired Mike Gimbel/Statman references. But the diehards? They mostly applauded. James has long been admired by certain factions of baseball fans (read: Fantasy League pencil-necks . . . hi there) for his innovative and insightful statistical analysis. Finally, a progressive move by the Red Sox. Maybe these new owners do know what they're doing. James is more than a formula-spouting digit-cruncher; he's a fantastically talented writer, too. He wrote a column for Sports Illustrated in the mid-'90s, and articulates his theories in a style that is irreverent and relevant, wry and opinionated. He uses words to make his numbers interesting. But James's most valuable skill - and this is what will benefit the Red Sox, if they utilize him properly - is his uncanny knack for using past numbers to forecast a player's future. After his hiring was announced, I dug out a few of his popular Player Ratings books from the early '90s. Several seasons after they were published, they remain a fascinating read. Turns out he was remarkably prescient. Or, as a Monitor colleague said while thumbing through them, "This is unbelievable. For every player he is wrong about, he's right about 20." To give you a sense of what James might bring to Boston, I scoured the Player Ratings books from the 1993 and 1994 seasons and selected a few evaluations that struck me as funny or notable or just plain interesting. Most relate to the Red Sox, of course, and some of the comments he wrote way back when could be taken into consideration by current Boston administration today. You'll see what I mean. Here are a few snippets, each one preceded by the player's name and year James wrote it. Then, in parenthesis, I get the last word, an analysis of his analysis if you will. I hope you enjoy it as much I as did. Steve Avery, 1994: "My guess is that he's in his prime now, and won't be as effective when he reaches 28." Carlos Baerga, '93: "He may have been the MVP in the American League last year . . . He hits .300, hits for power, runs the bases well, turns the double play probably better than anybody in the league - and he's 24 and still improving." Willie Banks, '94: "Has always had a very good fastball, excellent changeup . . . 10 percent chance of becoming Bob Gibson." Barry Bonds '94: "You probably don't want to hear this, but Ted Williams was never the player this guy is. Bonds steals more bases every year than Williams did in his career. Bonds is a vastly better outfielder. 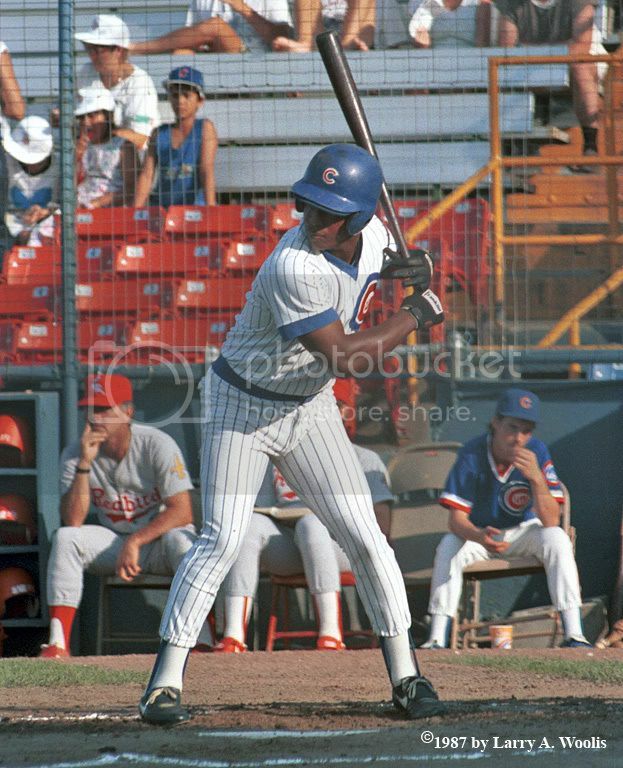 Williams never hit 46 homers, and never had to play in some place like Candlestick Park. Williams never won three MVP awards in four years, or three MVP awards period." Ellis Burks, '93: "His '92 season was ended by a disc problem . . . his chances of being a big star are almost entirely gone . . . although he could be a bargain at 90 percent." John Burkett '94: "I wouldn't touch this guy with a 10-foot pole. . . . He's simply not as good as his record." Jose Canseco, '94: "He is probably all but done . . . his chance to be a star now is to be Cecil Fielder, to hit 50 homers, but he needs to stay healthy to do that, and he needs to grow up to stay healthy." Frank Castillo '94: "Had a miserable year for no really obvious reason, and his future is in doubt." Jack Clark, '93. "Oh my god, my career is in trouble, get me another Lamborghini." Rich Garces '94: "He's been plagued by minor injuries and serious weight problems. . . Still throws hard but has lost all semblance of command. His future is very cloudy." Jose Offerman, '93: "He was expected to make 35 errors but overachieved, making 42." Hipolito Pichardo, '93: "Looks like Michael Jackson, needs to develop a better breaking pitch." Phil Plantier, '93: "His future remains very bright. I believe he will overcome his current problems and become one of the best players of the 1990s." Manny Ramirez '94: "Best hitting prospect to come to majors since Frank Thomas and Juan Gonzalez . . . Nobody talks about his fielding." Bret Saberhagen '94: "He struggles in mid-summer, and usually spends it on the DL. I don't mean to be patronizing, but managers can be astonishingly slow learners, so let me explain this. PUT A PITCH LIMIT ON HIM. HE'S GOING TO KEEP GETTING HURT. Seven innings, understand? Skip a turn in the rotation once in a while." Bob Tewksbury, '94: "The National League hit .301 against him, and he led the league in hits allowed with 258. If he wasn't the best control pitcher in 70 years, this would worry you. He has pretty clearly established the ability to win if the league hits .300 against him, and to win big if they hit .270." Mo Vaughn, '94: "Mike Easler says he'll be better than Frank Thomas. He's out of his mind. . . . His attitude was questioned in 1992, but when you drive in 100 runs, your attitude improves." Tim Wakefield, '94: "He hadn't been throwing the knuckleball very long before he had the baseball world roped and tied, and perhaps it was inevitable that his first rough stretch would send him reeling. . . . He's not a safe pick, but I think he'll have a good career." Chico Walker, '93: "Switch hitter, plays all over the field like Tony Phillips, still an outstanding baserunner at 34. . . He'd have about 1,500 hits by now if he'd come up with the Red Sox about 1980, but they didn't think he could play." And one more, written by me, in full tribute and admiration. Bill James, 2002: "As versatile as Chico Walker, as accurate as Bob Tewksbury, he's the Barry Bonds of statistical analysts. 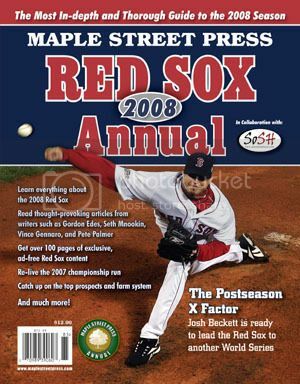 In time, might well be regarded as the Red Sox's best offseason move of 2002." 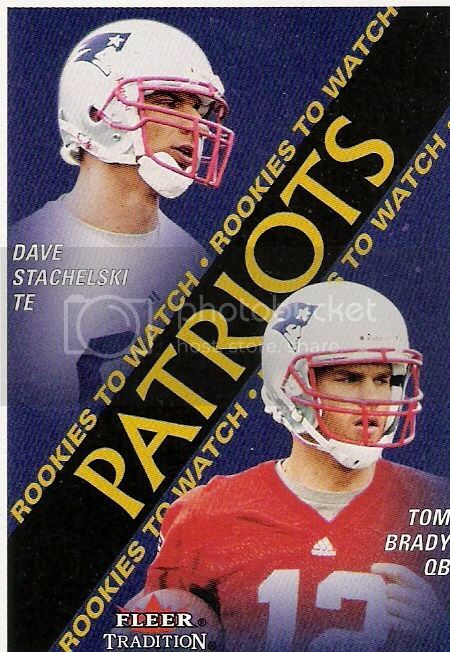 He is the Ghost of Patriots Past, a twice-a-season apparition. He is a reminder of those hopeful, happy days of the mid-'90s, when Drew Bledsoe was the Golden Boy QB, Terry Glenn suffered injuries instead of faked them, and visions of Super Bowl victories danced in our heads. He's the one that got away from the Pats - and he's been getting away ever since. Hello again, Curtis Martin. Back to haunt us once more, we presume? Today, the New England Patriots, 6-5 and breathing again, take on the first-place, 7-3 New York Jets in what's shaping up to be a season-defining showdown. It's certain to be another compelling chapter in this rich, raucous rivalry. And so, for the eighth time since Bill Parcells lured the beloved Pro Bowl running back away with a six-year, $36 million contract in February of '98, the Pats will have to confront Martin, their friend-turned-foe. It's never easy. It's almost four full seasons later, and only now are the Pats recovering from Martin's devastating Foxboro farewell. It's not an exaggeration to say that this single transaction - by far Parcells's most productive trip to the grocery store - impacted the balance of power in the AFC East for a half-decade. How has Martin tortured us? Let us count the ways. First, the stat sheet: Martin has run for 100-plus yards in five of the seven games against New England. He has scored a touchdown in four of the seven. Considering that four of the teams' last five meetings have been decided by seven points or less, you could safely say he has been the difference. Naturally, Martin scored the lone touchdown in the Jets' 10-3 victory in Week 2 this season. Then, the standings: In Martin's three years in New England, the Pats regularly beat up the Jets at recess and took their lunch money, winning five of six. Since he left, they are 1-6. In other words, the team that has Martin in its backfield is 11-2 in this suddenly lopsided rivalry. All these numbers paint a pretty convincing case for his value. Yet Pats fans know Martin's worth can't be judged solely by columns of digits on a scoreboard page. There's no category for all that he means to a football team. Martin is equal parts style and substance, a shifty, instinctive runner whose grace belies uncommon determination and grit. He is the rarest breed: a superstar whose humility and class appeal to Average Joe football fan. Martin's name is in lights. It should be stitched across the breast of his shirt. 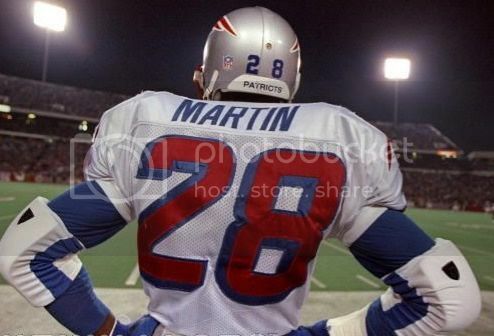 It's no wonder you still see the occasional well-worn, red, white and blue "Martin 28" jersey in the Foxboro stands. How it frustrates us that he's no longer wearing the jersey himself. He is missed, still. I'll spare you the painful rehash of his utterly unnecessary departure. Just allow me to note that if Pats owner Bob Kraft hadn't insinuated Martin would have a short shelf-life, if Kraft hadn't spent much of the '97 season gloating about what cheap labor Martin was, if Kraft hadn't paid turnstiles Todd Rucci and Max Lane a combined $22 million before offering a single peso to Martin, if Kraft had remembered Parcells often called Martin one of his three favorite players he'd ever coached, well, then maybe the Pats wouldn't have had to spend three high draft picks in failed attempts to replace him. Yeah, I'll spare you the painful rehash. Just let me note that Kraft bungled the situation with such complete and total incompetence, you have to believe Dan Duquette was giving him management tips. Martin should have been a Patriot for life, which is why it's hard to fathom that he now has more service time as a Jet. This is Martin's seventh NFL season, his fourth in New York. He ran for 3,799 yards for the Pats; he's run for 4,938 for the Jets. There's no use denying it: When his portrait hangs in the halls of Canton, the dominant colors will be green and white. Martin's contributions considered, it's hardly a news flash that the green-and-white has dominated the rivalry. But perhaps, starting today, these new and improved Pats will show their true colors, and the balance of power will shift again. For the first time since Martin left, there is a feeling of genuine hope in Foxboro, a sense that happy days are indeed here again. Maybe it's because of the exciting emergence of the new Golden Boy QB, Tom Brady, or perhaps it's because Antowain Smith has reminded us of the benefits of a powerful running game. Probably, though, it's because Coach/No-Nonsense Head Honcho Bill Belichick has molded the team in his image. The Pats are tough and disciplined and they take no crap, and if you are skeptical, just watch Bryan Cox running around out there on a broken leg today, then try telling me these are still Pete Carroll's Patsies. This, Pats fans, is a team you can root for. You even might say it's a team Martin would enjoy playing for. By 4 p.m. this afternoon, we should have a pretty clear idea if we'll be rooting for them later into the winter than we had imagined. The Pats win today, and we can start wondering if doomed old Foxboro Stadium might get a stay of execution for at least one more game. Before we dare speak of the playoffs, though, the Pats must do their part. They must exorcise those green-and-white demons. They must tackle a galloping ghost. To beat the Jets, they must stop Curtis Martin. And prove that four seasons after he moved on, they finally have, too. It's safe to say that most sports writers had a passion for sports before they had a passion for words. It's certainly true in my case. Long before I ever read the Catcher in the Rye by J.D. Salinger, I had read the Catcher in Wry by Bob Uecker. I suppose I wasn't the most well-rounded boy. I mention this because in its most recent issue, Sports Illustrated ranked the top 100 sports books of all-time. Now, I may have little more than a couch potato's knowledge about Bill Belichick's defensive schemes, and heaven knows I struggle to comprehend what "strategy" is on Grady Little's wee mind. But sports books? There's a subject I can discuss for days. I have more sports books than Shawn Kemp has children. I have read lousy bios (Balls: The Graig Nettles Story) and half-hearted money-makers (Nick Cafardo's The Impossible Team, about last season's Patriots). Recently, I read The Franchise: The History of Sports Illustrated, which coincidentally or not, didn't make SI's list. Turns out I have read 34 of SI's selections - 35 if you include the countless hours spent leafing through the Baseball Encyclopedia. (I'm pretty sure that among all the inhabitants of this planet, only Peter Gammons has read it cover to cover.) I suppose that 34 of 100 is quite a few, especially since SI made some obscure selections. Big Red of Meadow Stable? Um, I'll wait for the movie, thanks. My five favorites come to mind quicker than the names of the five starters for the 1985-'86 Celtics: Road Swing, by Steve Rushin. Heaven is a Playground, by Rick Telander. Ball Four, by Jim Bouton. The Breaks of the Game, by David Halberstam. And Semi-Tough, by Dan Jenkins. They are listed in no particular order, since asking a reader to rank his favorite books is like asking a parent to rank his children. But each passes the ultimate test: Open the book to any page at any time, and you are guaranteed to kiss the next hour goodbye. The list was a great idea, and I imagine that Sports Illustrated's mailbags will be filled with letters nitpicking their decisions. I have my gripes, too. Road Swing, the 4-year-old instant classic by SI columnist Rushin, is well down the list at No. 90. What, no respect for their own guy? At least he's not alone. Not one of Rick Reilly's eight books made the cut. As a matter of fact, SI made enough surprising omissions to fill a shelf at Barnes and Noble. If you owned every one of their picks, your sports library still wouldn't be complete. So here are five more that SI's editors ought to crack open. If they do, I know they won't be able to put them down. • The Prophet of the Sandlots, by Mark Winegardner (published in 1990): The author spent a year on the road with Tony Lucadello, a legendary scout for the Philadelphia Phillies who was gradually being phased out by the organization. He does not go gracefully, and the twist at the end is terribly tragic. Footnote: Lucadello pleads with the Phillies to draft a promising Miami University shortstop whom he believes to be the second coming of Mike Schmidt. Tim Naehring was good, but not that good. • A Season Inside, by John Feinstein (1988): Not as groundbreaking or controversial as his career-making bestseller A Season on the Brink, but a more fulfilling read for a college hoops junkie. While Brink has one compelling central character in Bob Knight, Inside has several - Danny Manning, David Robinson, Jim Valvano and various other hoops newsmakers who gave Feinstein seemingly unlimited access during the 1987-88 season. Footnote: In what has to be the all-time most ignorant and cruel act by a sports crowd, Arizona State fans chanted "P,L,O, P,L,O" at Arizona star Steve Kerr. Three years earlier, Kerr's father, a college president, had been assassinated by the PLO in Beirut. • Beyond the Sixth Game, by Peter Gammons (1985): Before Gammons became sports journalism's premier gossip columnist, he was a superior reporter and writer who helped redefine the way baseball is covered. Here, he paints a detailed picture of how the talented late-'70s Red Sox were dismantled amid the changing financial landscape of baseball. Sound familiar? Footnote: Gammons reveals that the Sox nearly traded Fred Lynn to the Yankees for Ruppert Jones and Ron Guidry in 1980. • The Curse of Rocky Colavito, by Terry Pluto (1994): An irreverent, often sad and always entertaining look at the tragicomic history of the Cleveland Indians. Footnote: The Indians traded 21-year-old fireballer Dennis Eckersley to the Red Sox for one very juicy reason. 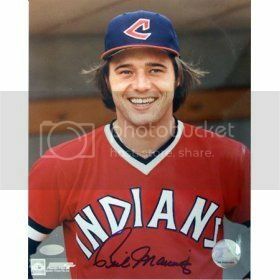 Eckersley's wife was having an affair with one of his teammates, an outfielder named Rick Manning. The two players could no longer co-exist as teammates, and the Indians' so-called braintrust decided that Manning was the better long-term prospect. Oops. Wrong decision. Manning hit .257 with 56 homers in an undistinguished 13-year career, while The Eck has baseball immortality waiting for him in Cooperstown. That's what makes them the Indians, I guess. • Stolen Season, by David Lamb (1991): Lamb, a world-weary foreign correspondent for the Los Angeles Times, rents an RV and takes off on a nostalgic journey through the back roads of America, stopping at various minor-league ballparks along the way. It's been described as a Travels With Charley for sports nuts. I liked Lamb's book better than ol' what's-his-name Steinbeck's. Shocking, huh? Footnote: Lamb chronicles the struggles of a Durham Bulls third baseman named Dave Butts, who can't seem to snap out of a terrible slump despite the support and encouragement of his manager. 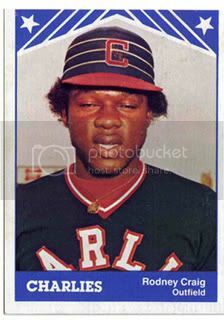 "Don't worry," said the manager, curiously named Grady Little. "He'll get his hits." I wonder if Little ever thought of Dave Butts while watching Tony Clark flail away last season. Admit it. You looked to Drew. It was the first half of last Sunday's Patriots-Jets border war, and Tom Brady, the golden boy, was being battered and bludgeoned like his name was Bledsoe. He was struggling, the offense was stagnating, and you were steaming. That's when your eyes began creeping toward the $103-million backup plan standing on the sideline. While the thought may have been fleeting, it crossed your mind nonetheless: Maybe Bledsoe can save the day. Maybe Belichick should put him in. Thirty joyous minutes of football later, and we may never look Bledsoe's way again. We now know this to be the undeniable truth: Tom Brady is the quarterback of the New England Patriots. For now. For the foreseeable future. For the bright future. Oh, most Pats fans were hopeful of this before the Jets game. Even if you admire Bledsoe - and I do - you couldn't help but be intrigued by Brady, the Bay Area kid who grew up idolizing Joe Montana, and, as crazy as it sounds, seems possessed by his spirit. We immediately bought the confidence and discipline and all the other intangibles. We appreciated the sense of tempo (Tom Jackson's term) that he brought to the suddenly lively offense. We fell for the charisma, the boyish, easy grin. He hadn't really been tested yet. I mean, really tested. Sure, he'd taken a few lumps: the four-pick fourth quarter versus Denver, the bouts with inconsistency versus the Rams and the Dolphins, a shaky throw here and there. But he hadn't had to endure one of those bloody Sundays that Bledsoe had become so accustomed to, those painful afternoons when the running game is stuck in neutral and the offensive line in reverse. He hadn't faced true adversity. He stood up, picked the grass out of his teeth and fought back. After a feeble first half in which he completed five of 11 passes for 53 yards, he spearheaded an extraordinary team effort in the second half, going 15-of-17 for 160 yards in the Pats' most enjoyable come-from-behind victory in a calendar's worth of Sundays. It was yet another passed test in this young quarterback's emergence. It may have been the most difficult. It surely was the most important. We learned to trust these Pats in that second half, to realize that the possibilities for this proud collection of misfits are endless. We learned beyond a modicum of doubt that we can trust Brady, too. Last Sunday, the Pats became a team. Brady's team. There's irony here, if you're looking. In recent years, Bledsoe fought too many of the Pats' battles alone. Now that the Pats have some soldiers, some talent, he's no longer the field general. Of course it's not fair. But to paraphrase Jerry Glanville, that's what NFL stands for - the Not Fair League. The cold, hard truth is, Brady has outperformed him. Our respect for Bledsoe blinded us to his flaws; Brady has forced us to see them. The new guy doesn't have his predecessor's fastball - who does, other than the Green Bay Gunslinger? - but he does every one of the small things better. Brady sells the play-action with a magician's sleight-of-hand. He gets rid of the ball in a nanosecond, which is why he rarely gets creamed in the empty-backfield formation, the one they ran so successfully in the second half against the Jets. He's decisive and efficient in the "red zone. And while he hardly is blessed with Donovan McNabb's footwork, he is just mobile enough. Remember that game-clinching 1-yard run, where he sprinted right, got hit and somehow spun for the first down? Think Bledsoe would have made it? Nope, no way. We saw what happens when he tries to run the last time he played the Jets: he winds up with a tube stuck in his chest. 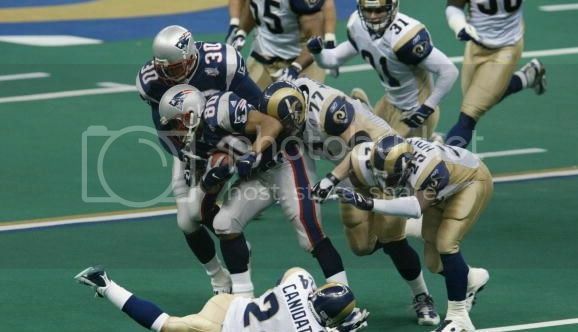 It saddens me to think that Mo Lewis's savage hit may mark Bledsoe's final on-field act as a Patriot. He has meant so much to the franchise in his nine years, and for all his flaws, he has been an outstanding quarterback. No doubt he will be again. He's 29, healthy and hungry. For the first time since - well, when, Pop Warner? - he has something to prove. Which, exactly, is why he must go. He casts too big a shadow. As long as Bledsoe is here, there will always be that temptation to look to him whenever Brady is struggling. That wouldn't be fair to either player. Brady shouldn't have to look over his shoulder. Bledsoe shouldn't have to watch an understudy star in the role he made famous. Right now, Bledsoe is masking his hurt and frustration with his usual class, but you just know his heart is aching. Somewhere beneath all that Bourquesque dignity and common sense lurks the well-fed ego of a professional athlete. He thinks he should be playing. He thinks his coach lied to him and likes the other guy better. If he doesn't yet think it's time to move on, he will in time. Our best guess: He'll ask for a trade before the last light is turned off in Foxboro Stadium. And the Pats will appease him before the first light is turned on at CMGI. It's too bad it has to be this way. But it must. Wonderful things are happening to the Patriots, with Brady playing quarterback. It cannot be a coincidence. It is his team now. If we catch ourselves looking to Bledsoe again, it will only be to say goodbye.